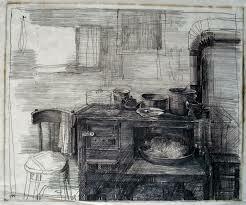 I chose David Hockney as one of my studied artists as a contrast to the work of Safet Zec, among other reasons. 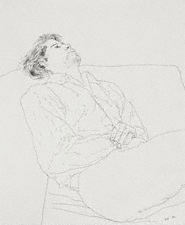 Hockney’s use of line is much more minimalist and stripped back than Zec’s, using the simplest possible configuration of lines to create the scene or object that he is trying to depict. I also chose Hockney because chairs, although they are usually occupied feature in much of his work, and whilst most of his prominent work with chairs as the central focus is done in lithograph I have chosen a couple of examples of portraits in which the depiction of chairs demonstrates his overall approach to drawing chairs. 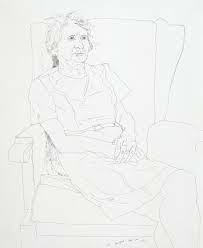 “Portrait of the Artist’s Mother, Mrs Laura Hockney, Bradford” Pen and ink on paper, 1972. 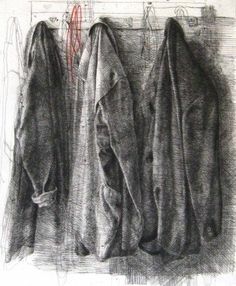 I chose Safet Zec to focus on due to his complex use of line, with his drawings often relying on a technique of building up lines to create density and texture. 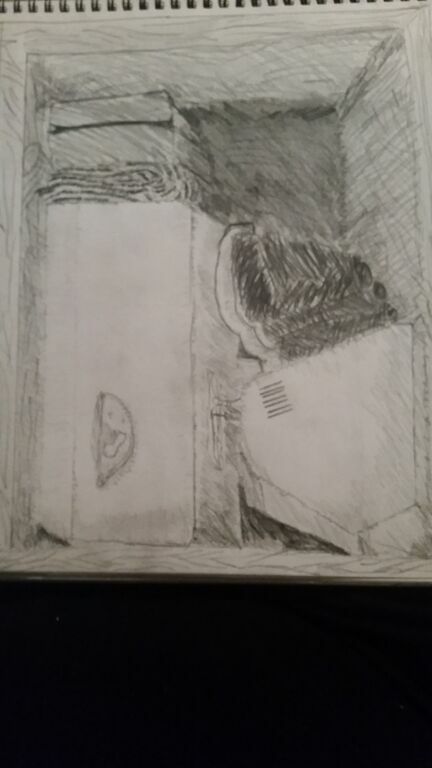 Even the negative space that others may leave blank is given texture using lines. Zec’s exposure to atrocities and political instability in his youth is the inspiration for intricate and painstakingly designed line drawings, that a both nostalgic and sorrowful.